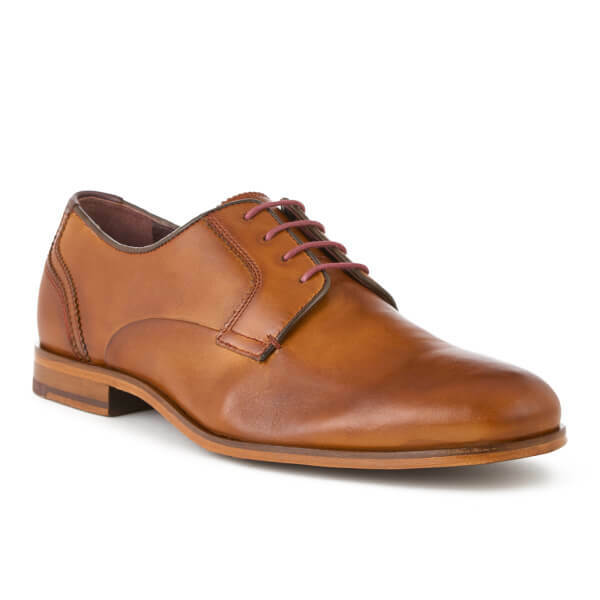 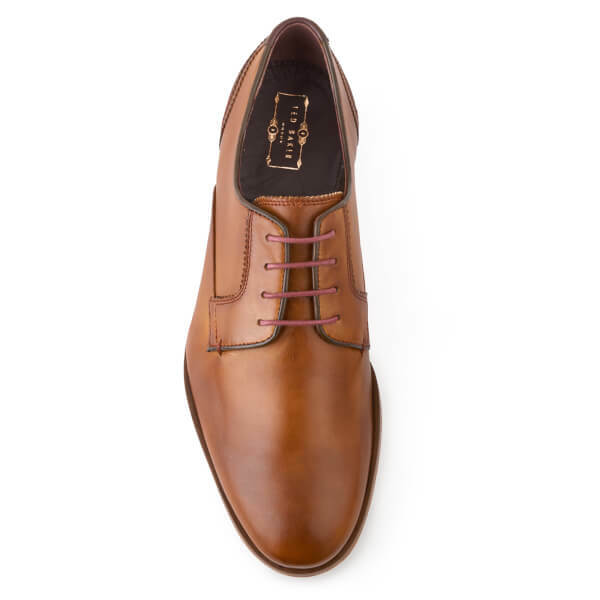 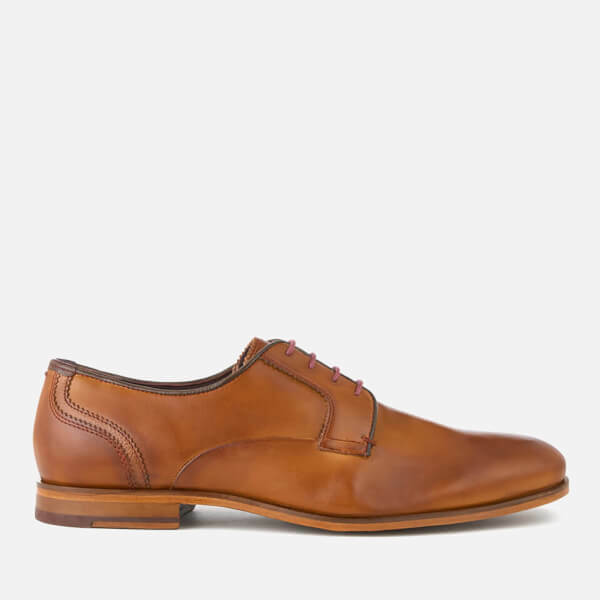 Men's leather derby shoes from Ted Baker. 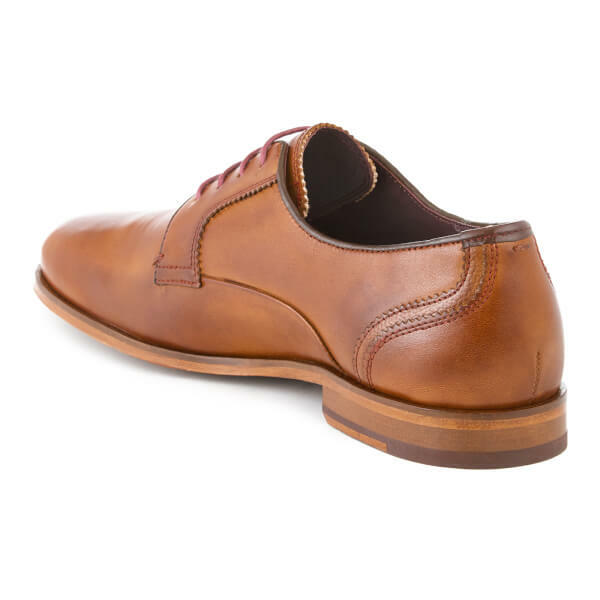 Crafted with premium leather uppers, the 'Iront' shoes feature a rounded toe with subtle burnished detail, a derby lacing system with four eyelet lace up, and accent stitching throughout. 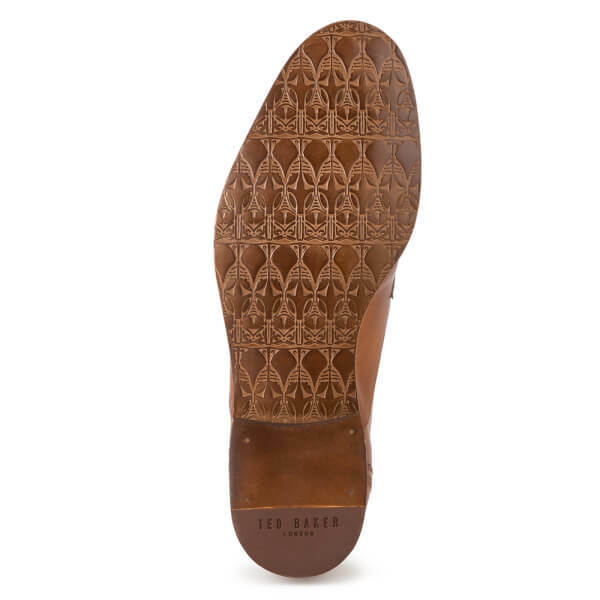 Complete with leather sock and patterned leather sole. 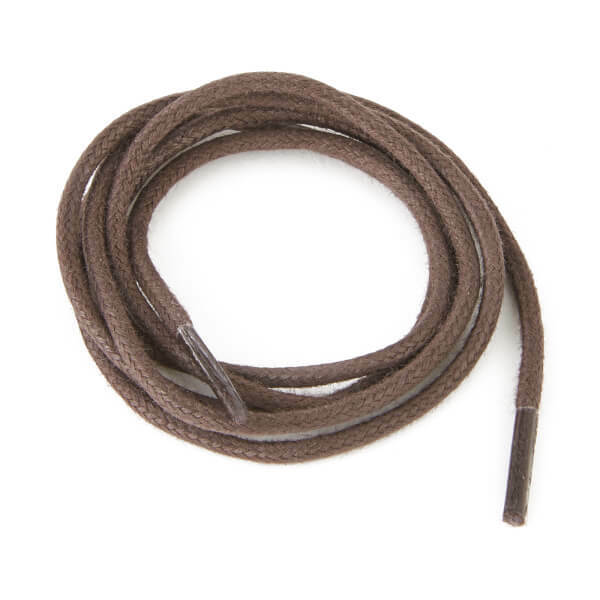 Pair of contrast laces provided.